Chris has been hearing the loud repetitive call of a bird from the front yard for a couple of weeks. We decided to investigate this weekend. 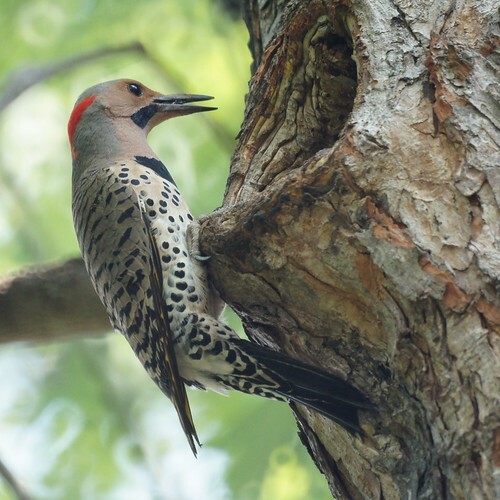 Yesterday, we saw a Northern Flicker fly out of the large tree in front and then recognized who has been calling. 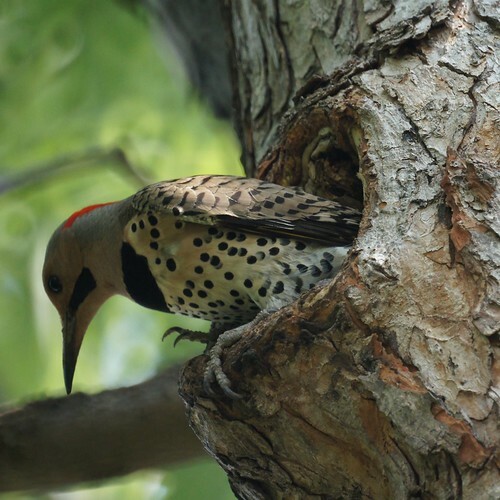 This morning, we saw a flicker at a broken branch and couldn't tell if it was eating from the hole or feeding. 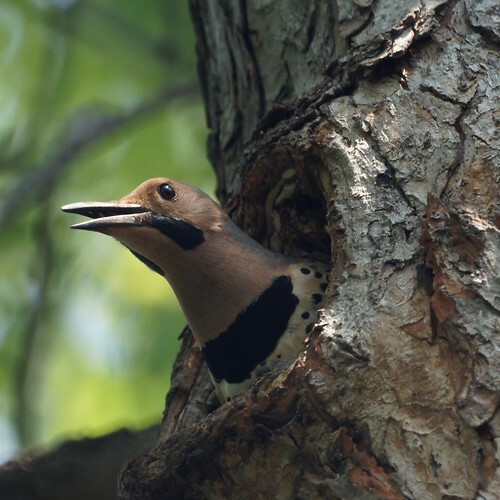 This afternoon, we saw two flickers at the hole and one went in. We watched a bit longer and got some photos as it poked its head out and then emerged. We are fairly confident there is a nest and we will be watching for baby flickers in the next week or two.